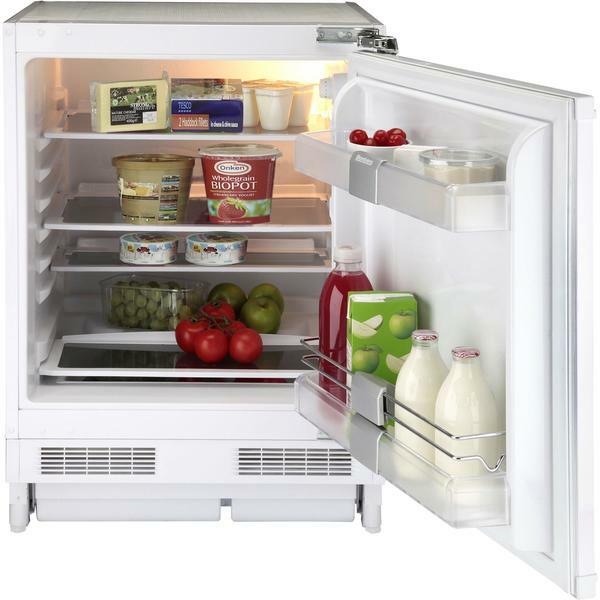 Take a look at this amazing fully integrated larder fridge from Blomberg. 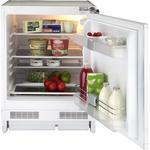 Every aspect of the TSM1750U is designed to maximise storage space and it’s packed full of handy features. Built-in home appliances are becoming increasingly popular because they give an uncluttered and spacious feel. This built-in larder fridge fits neatly underneath the worktop for seamless elegance. This unobtrusive design is ideal for saving space in kitchens in flats or smaller homes. Despite its compact dimensions, the TSM1750U has a clever design that lets you store plenty of food. The three glass shelves are adjustable, so you can arrange your fridge the way you want it. This also lets you move things around to store larger items. These shelves are see-through, which makes finding the item you need easier. There’s a salad crisper at the base of the larder for keeping all your fruit and vegetables crunchy and firm. A special shelf rolls out to let you access this with ease and helps lock in the freshness when the fridge is closed. There’s plenty of door storage space too, including commodity racks and a bottle shelf. One of the best things about this great little appliance is the Automatic Defrost function. This ensures you won’t get icy build-ups, and you’ll never face the frustrating task of manually defrosting. The A+ energy rating is great for the environment and your wallet. The TSM1750U reduces energy costs by up to 24% compared to A rated models. Heavy duty metal hinges ensure the door will close if left slightly ajar. The door can be hung from either side to suit the layout of your kitchen. There’s even an antibacterial seal that keeps your food safe from germs. 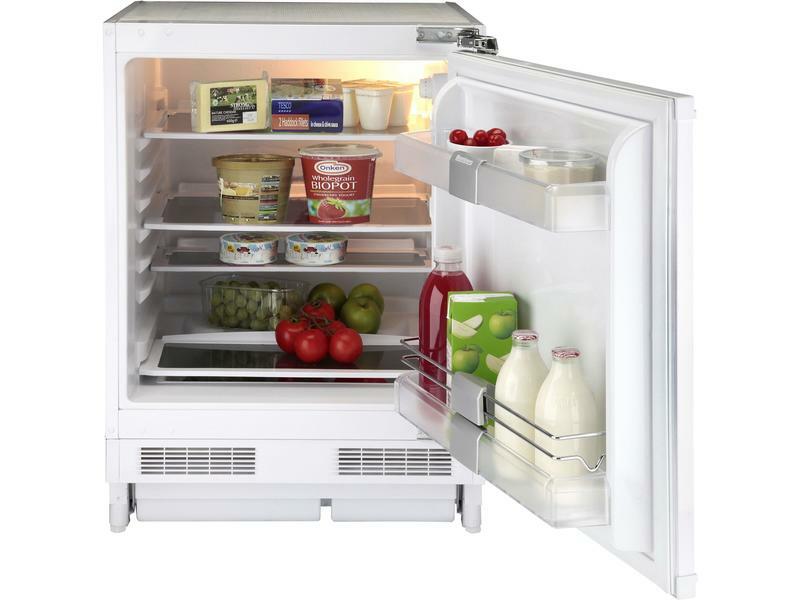 If you’re looking for a top-quality larder fridge, place an order for the TSM1750U today.